Home / Skin / Want Younger loooking skin naturally? 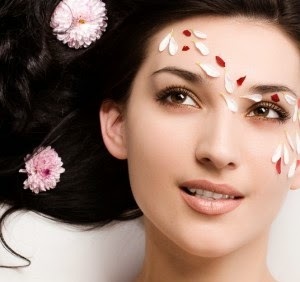 Genetics and lifestyle habits plays an important role in skin health, but even if you don’t have blessed skin; certain foods can help you to fight the age related skin problems like acne, wrinkles, pigmentation etc, an adequate intake of water along with antioxidant rich balanced diet is the key to ensure healthy skin on long run. Hydrating Liquids: To have a great skin start including hydrating liquids like, milk shakes, coconut water, butter milk, soups, Fruits juice, vegetables juice (include fresh vegetables like tomatoes which is rich in lycopene & vitamin C, carrots which is rich in Vitamin A, spinach which in rich in chlorophyll,& Vitamin B12 or you can mix vegetables of your choice along with some green leafy vegetables). Remember to include minimum 8 glass of water or any hydrating liquid every day. Omega-3 Fatty Acids: Omega 3 fatty acid is not only best for heart but it is also the best anti-aging food. In order to get omega -3 fatty acid through diet, we can include salmon, mackerel or tuna. The vegetarians can go for almonds, soya, olive oil, rice bran oil & Flax seed oil. Flax seed is the nature’s best source of omega-3 fatty acid, they also contain photo-estrogen, the combination of this two works wonder to give you youthful skin. Onions, apples, parsley, oranges, blueberries, bananas, bell peppers, grapefruit, celery, lemons, strawberries,tomatoes, peaches, cherries,pears,almonds,strawberries, watermelon, cabbage, turnip greens,chili peppers,Cranberries, sweet potatoes, plums, lettuce, raspberries etc. Pro biotic Curds: is a very important for healthy skin, as it improves your immune system and kills bacteria that cause acne and other skin problems like psoriasis. Collagen: It is an essential component of the skin, which enhances its elasticity. The collagen level reduces faster due to inactive life and over exposure to UV rays. Natural Vitamin & Minerals are the best friend of collagen, so include fresh vegetables, fruits, egg white, Milk or milk products in your meal which are the best source of vitamin and minerals. Exercise:The last but the most important thing for glowing skin is to supply oxygenated blood to the each cell of your skin and body by regular yoga and exercise. Never miss your workout schedule, if you miss it in the morning, do some work out in the evening , be regular and see the result. Sleep: proper 8 hrs sound sleep is also a a key ingredient for glowing skin ,because a restless body can never have glowing skin. Sugar: Excess sugar can lead to darkening of skin, growth of skin tags, pigmentation, signs of aging, wrinkles, vulnerability to skin infections, warts herpes, and bacterial infection in underarms/under breast/ neck and loss of elasticity. Sugar breaks down the good proteins, without participation of any enzyme leading to advance Glycation i.e. excess of blood glucose. This excess sugar binds them to the protein present in collagen, this causes the skin to lose its strength, elasticity and also it becomes more vulnerable to sun damage. Due to excess of sugar in blood our immune system becomes weak and the skin becomes more vulnerable to boils, fungal infections & allergies. The patients with diabetes also suffer from a rare kind of skin disease called diabetes dermopathy and diabetes corum i.e thickening of skin in upper neck. Yet another disease called Acanthosis which leads to darkening and thickening of skin under arm, back of neck, under breast etc. so in short control your sugar through healthy lifestyle and food. Excess salt: It well known fact that presence of high sodium in foo causes water retention, this is not only bad for weight loser but also bad for your look and skin. The water retention is most visible under the eyes areas, as the skin is very thin there it doesn’t take much to cause a swelling. Deep Fried Foods: A big ‘NO” to all deep fired junk foods for all reason , there are no way good for your health. These kinds of food are very rich with free radicals that cause oxidative damage, which results inflammation so your skin looks dull and advance to wrinkle. Alcohol or Smoking: stop smoking or consuming alcohol an your will thank you for that, these habits breaks down the protein in collagen and skin losses its elasticity faster.